Thoughts from a Traveling Tech: Parley! Anyone that has seen Pirates of the Caribbean will fondly remember the word "Parley" and the joke that were made about that word. Once again in the grocery store, yet again the produce section, I stumbled upon proof that you do not have to know how to use spellcheck to work in a grocery store. 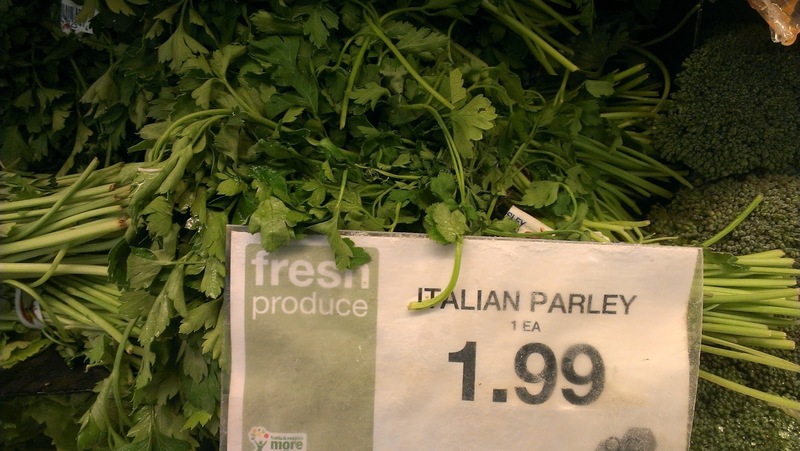 I am sure that this is supposed to be "Italian Parsley" but just how rushed do you have to be to miss that you are not selling parsley but instead parley? Apparently this stuff will want to discuss with you all the reasons you shouldn't cook it as you are preparing your evening meal. Not really interested in my food having a discussion with me. Beans already do enough talking on their own.